Cynsations: Guest Post & Giveaway: Bruce Hale on Is There a Book Idea in Your Childhood? 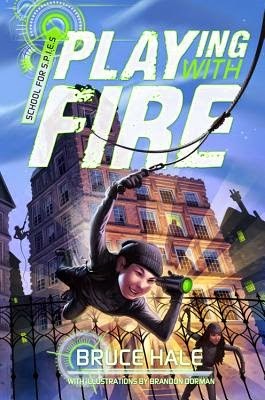 Guest Post & Giveaway: Bruce Hale on Is There a Book Idea in Your Childhood? Tell the truth, did you ever want to be a secret agent? To experience the glamour, the danger, the mad spy skills? I sure did, and from that childhood desire to be James Bond sprang my newest Disney-Hyperion series for tweens, School for S.P.I.E.S. The deep, true passions of childhood can be a tremendous springboard for stories, as well as a way of reaching for what’s true in you as a writer. And by telling you how my own passions inspired this series, I hope to give you some ideas on mining your own childhood enthusiasms. Growing up in the late ‘60s and early ‘70s, I swam in a Cold War sea of spies and espionage. 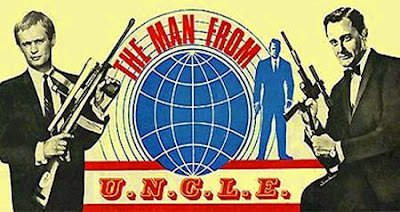 TV boasted "Get Smart," "The Man From U.N.C.L.E.," and "The Girl From U.N.C.L.E." X-ray glasses and toys like Six-Finger (a finger-shaped gun — don’t ask) abounded. And the movies were full of "Bond, James Bond." I loved it all. My friend Billy and I played spies up and down the block, snooping into our neighbors’ doings and generally causing trouble. That love of spies continued up into middle school, when I discovered girls and lost interest in spies. Or so I thought. In truth, the spy gene just went dormant for a while. 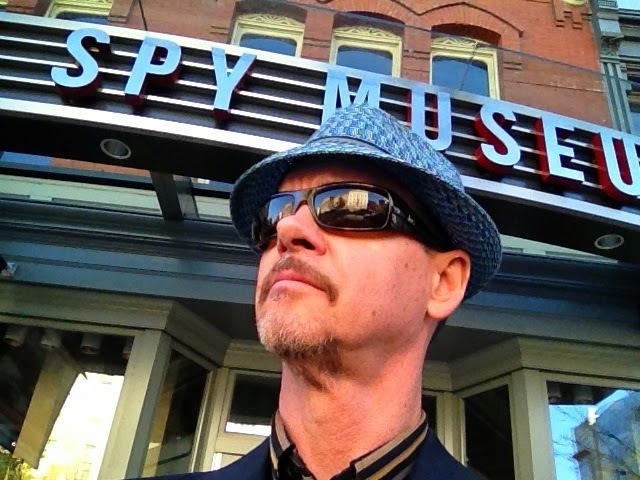 Many years later, after I’d written the Chet Gecko Mysteries series (Houghton Mifflin Harcourt), I was casting about for my next project, when inspiration met preparation. And School for S.P.I.E.S. was born. What’s the strangest place you can think of for inspiration to strike? A Laundromat? A bathroom? A disco? Mine came during yoga class. I arrived expecting your stereotypical yoga teacher. You know — beatific expression, serene energy, gentle style. Instead, we got a big-hearted yet fierce little Korean woman — part drill sergeant, part slave driver. “You, flex your feet! You, straight your legs!” she snapped. Half the class was mystified, the other half terrified. I, however, knew a character for a book when I saw one. Fast-forward to the end of my Chet Gecko series. I was beginning to mine ideas for the next project, using Ray Bradbury’s technique of creating a list of titles based on childhood memories. I also listed my early loves, like spies, monsters, and Daniel Boone. In reviewing those lists, something clicked when it came to spies. I added in my old yoga teacher (now the spy school director), threw in a pinch of Oliver Twist, and the series concept sprang to life. Granted, it took over thirteen drafts and a lot of work, but that childhood love of spies birthed a book, then a series. Did it also, you wonder, lead to a job with the CIA? Truth is, when they told me to get an advanced economics degree because all they needed were economic analysts, I thought, Maybe I’ll investigate that childhood dream of becoming a children’s author after all. Bruce Hale has written and illustrated over 30 books for young readers, including the award-winning Chet Gecko Mysteries, Clark the Shark (HarperCollins), and Snoring Beauty (Harcourt), one of Oprah’s Recommended Reads for Kids. His School For S.P.I.E.S. 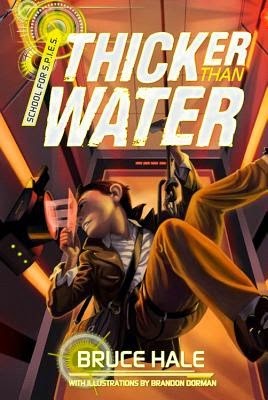 series began with Playing With Fire, and continues with Thicker Than Water. Great advice, Bruce. And just so you know, I hold you responsible for the first line of my middle grade novel which is on submission as I type. Saw you speak/sing at an SCBWI event a few years ago...phenomenal! I wish you continued success with your new series! 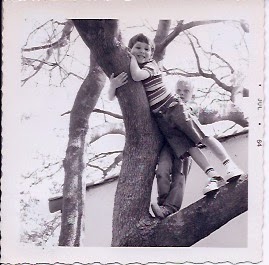 Fun - love the idea of listing childhood passions/memories as a way to mine our inspirations! Congrats on the new series!